Idaho potatoes cut in half, hand-scooped and filled with three mouthwatering cheeses: Cheddar, Monetary Jack, and Blue Cheese. This delicious side is ready to bake in the oven or microwave. Crispy outside, fluffy inside and free of GMOs, gluten and trans fats, it's the perfect side dish to a steak dinner or as a meal on its own. Heck, even use them as an appetizer! Portion size of 5 oz. Perfect as a side for family dinners or as a starter for parties! 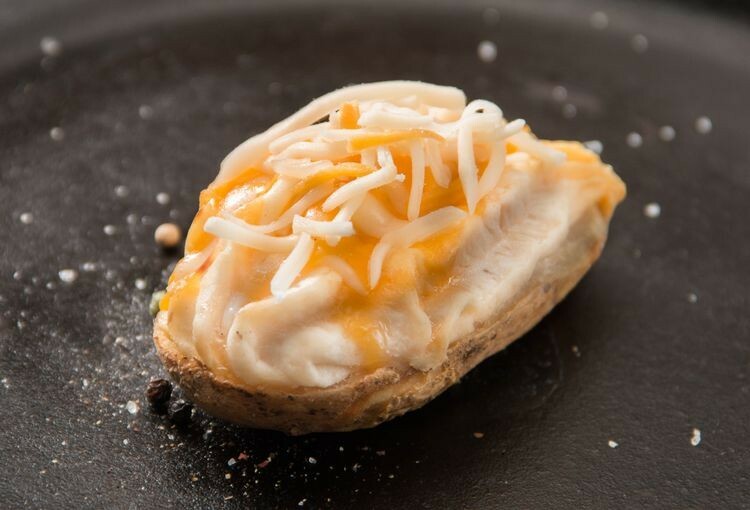 These bake potatoes has great flavor, so easy to just pop in the oven. Love these! Easy and yummy. Love these! Easy and yummy. Highly recommend.